The Brotherhood Hall, Launceston | Launceston Then! The foundation stones of the new institute were laid by Mr R Kelly, CC, of Kelly, and Canon Moore, on Thursday, 7th February, 1889. The committee had purchased several old houses and sheds in Wooda Road which, together with the new buildings, brought a total cost of about £1,100. One of the houses remains standing and inhabited, and the rent will gradually help to wipe off the floating debt which will spread over a series of years and be assisted by several annual subscriptions promised. The work of erection was commenced sometime since by the contractor, Mr Broad, and the walls are already a considerable height from the foundations. The institute was built on a capital central site in Wooda Road, purchased at a cost of £800. The building has a southern frontage towards the road of 30 feet 6 ins, from which it is entered, and a depth of about 96 feet. The ground floor comprises: entrance hall, senior members’ room, library, lavatories, care-keeper’s apartments, noisy games room, workshops, and gymnasium court, with easy access from the lane on the western side. From the entrance hall a large staircase will lead to a hall to seat 150 persons, with two exits, and a refreshment room, also a large reading room and class room. The front is built of local cut stone of various colours, with granite quoins, Bath stone widows, and Polyphant columns which are of a very imposing appearance. 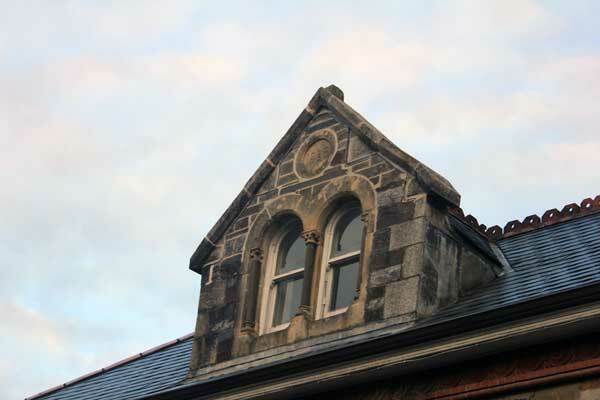 The building was designed by Messrs Wise & Wise, architects, Launceston, under whose supervision the work was carried out by Mr W Broad, contractor, of the same town, and was completed in the Julyof 1889. The stone laying ceremony commenced at 4 pm, the first stone being laid by Canon Moore. Mr J Treleaven then presented Mr Kelly with a trowel in the name of the committee and members of the brigade and asked him to lay the second stone. 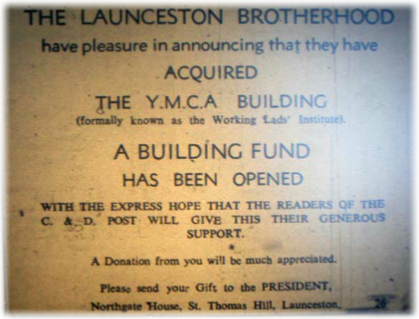 The Launceston Boys Temperance Institute was opened on Thursday, 17th October, 1889, in Wooda Road. Mr Pethick was requested to formerly open the building and was presented with a key by the Vicar (Rev. J B Sidgwick), President of the Institution. The foundation stones were laid in February last, by Canon Moore and Mr Kelly, of Kelly. 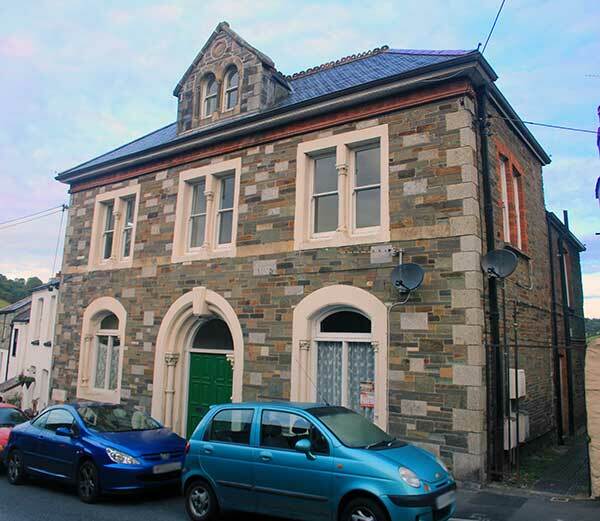 Launceston Working Lads Temperance Institute, Wooda Road, 1889, faced with Bath stone, £1,300. With Library, committee and reading rooms, senior members room, large hall seating 250, gym, etc.